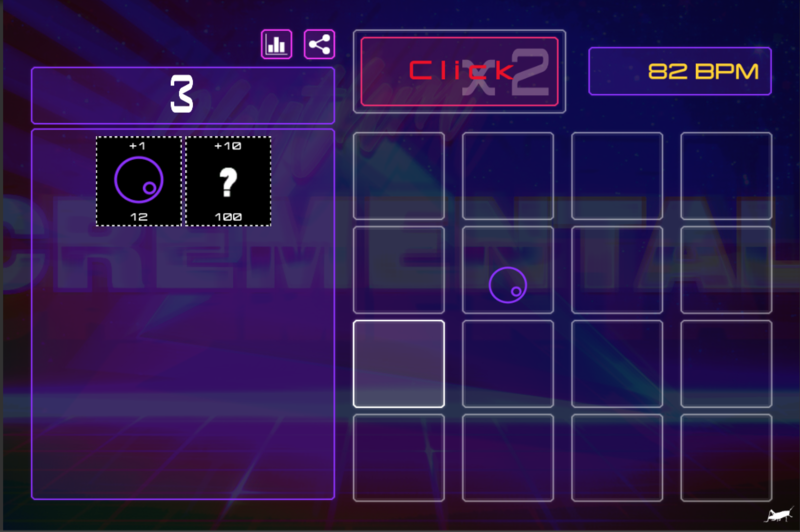 Rhythmcremental is an incrementally evolving drum machine where players create their own beats in a "clicker" game. 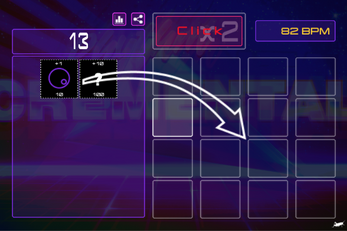 Click the “Click” box to gain points. 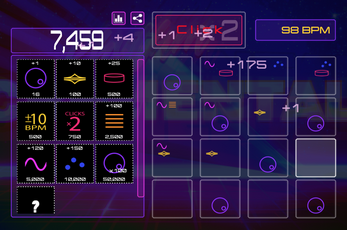 Points are used to buy items which you drag from the left of the screen into the grid at the right. 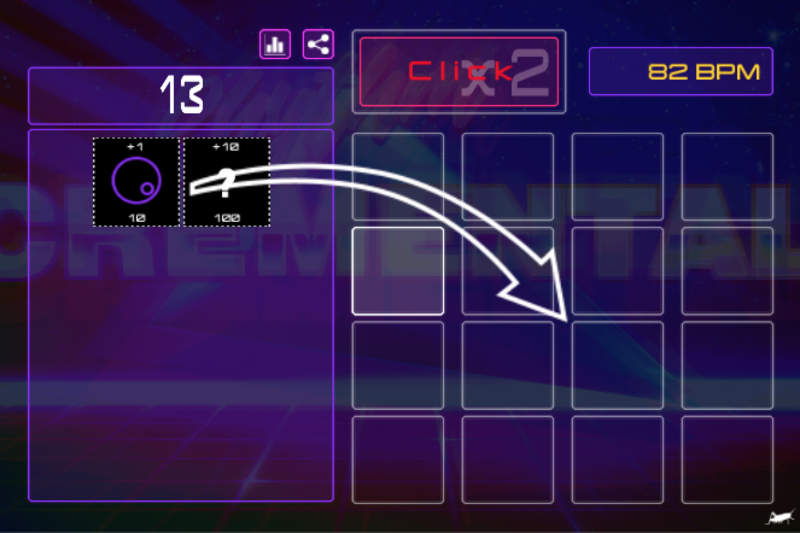 Items in the grid add points automatically. If you experience issues with performance (including timing), consider closing other software or downloading a standalone version below. 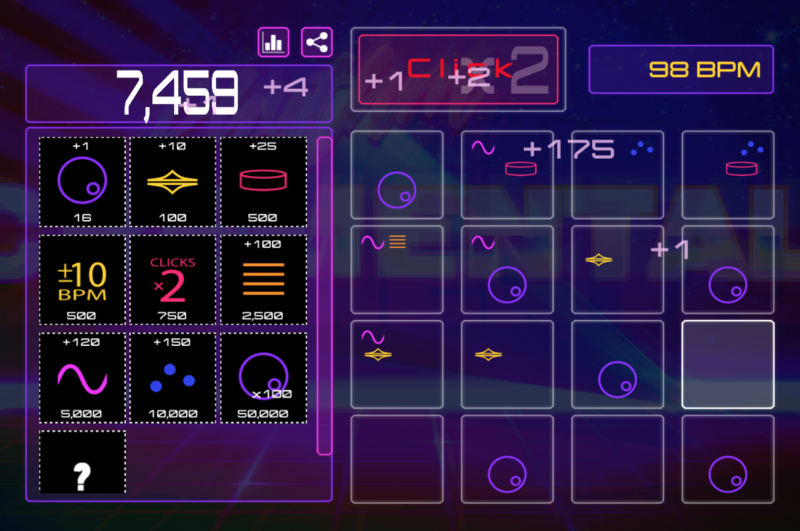 Follow Batta on itch.io for updates.